When the AppDynamics/NeoLoad integration module is configured and when the NeoLoad naming settings are declared in AppDynamics, starting a load test in NeoLoad displays the business transactions in AppDynamics. AppDynamics monitors business transactions to determine the health of the application with metrics. In AppDynamics, a click on Business Transactions gives access to the full business transaction list with summary metrics. Information: NeoLoad transactions names are different in AppDynamics Lite and AppDynamics Pro because they are configured distinctively. 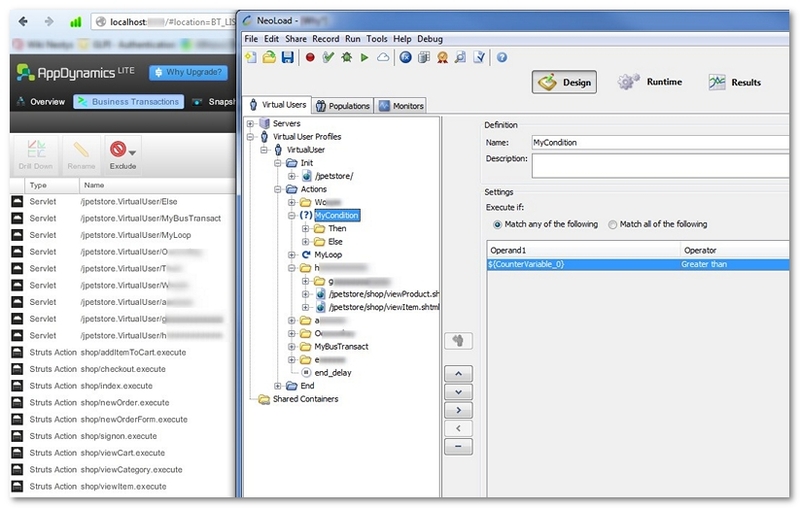 For more information, see Configure NeoLoad Transaction naming in AppDynamics. 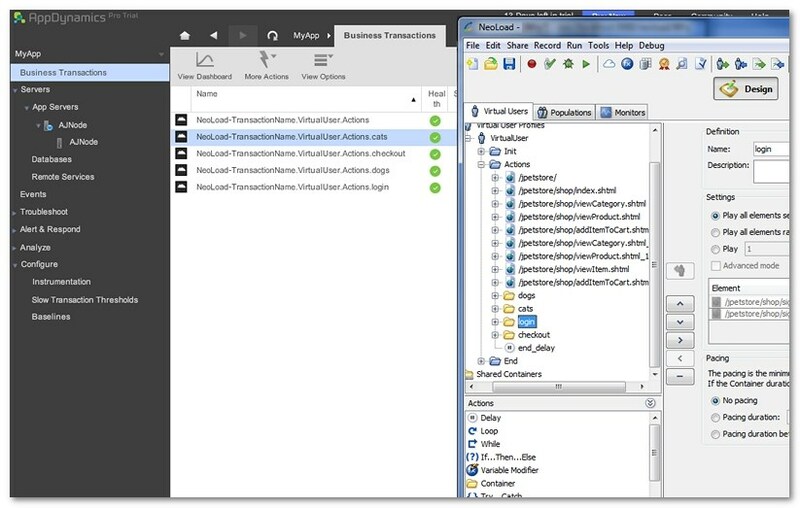 In AppDynamics Lite and AppDynamics Pro, the Business Transactions list is a view of the top business transactions in the application. The NeoLoad requests are easy to identify with the names specified in Configure the NeoLoad module for AppDynamics. Information: Containers names with special characters are not displayed properly in AppDynamics. HTML headers can carry US-ASCII characters only, and NeoLoad encodes transactions names. For example fish and chips é 한국어 in NeoLoad is displayed as fish+and+chips+%C3%A9+%ED%95%9C%EA%B5%AD%EC%96%B4 in AppDynamics. For more information, see http://www.url-encode-decode.com. In AppDynamics, click Business Transactions. For every NeoLoad request, you can check the AppDynamics metrics.